Zappos has turned their online retail business into a billion-dollar, shoes-clothing-and-more empire by fostering an outstanding corporate culture. The company’s corporate goal, which started as “delivering wow” and has now evolved into “delivering happiness,” has proven to deliver a stellar stream of revenue, satisfied customers, and fulfilled employees. VentureBeat.com reported on how Zappos created an upbeat corporate culture that drives sales up by keeping the staff’s spirits up. 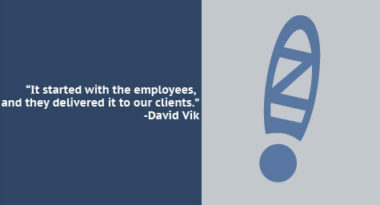 Mr. Vik’s role as coach was to empower employees to help them reach their full potential and promote a positive culture. He believed that employee satisfaction was contagious and would funnel down to the customer level to influence the service they received. His theory was right and led to Zappos becoming one of Fortune magazine’s “best places in America” to work. Mr. Vik’s experience at Zappos inspired him to write a book, “The Culture Secret,” that outlines his unique strategy for developing a great company culture. This strategy is comprised of five factors, including vision, purpose, business model, wow and uniqueness factors, and values. He believes that when employees are aware of how a company defines these five factors, they are able to get behind it and can carry out the company’s mission with little supervision and a lot of pride. Conversely, he says two things that destroy a company’s culture are the lack of definition and the desire to strictly manage employees. These conditions leave the staff with nothing to support and the low morale that comes from distrust. Yet by building up employees and the corporate environment, this lets employees take pride in themselves and in the company, which is directly passed along to customers. According to Mr. Vik, this customer focus is now more important than ever since companies need to be in sync with the needs, demands, and expectations of the customer in order to succeed and stand out from the competition. 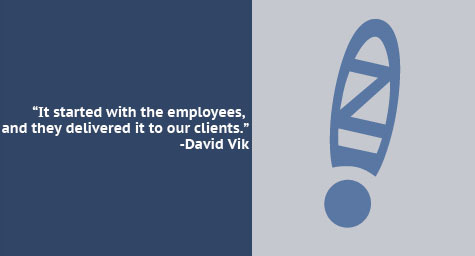 This customer-centric approach comes from within, as Mr. Vik proved at Zappos. Keeping spirits up has kept revenue high and this has helped the company rise to extraordinary heights. MDG Advertising, a full-service advertising agency with offices in Boca Raton and New York, NY, is one of Florida’s top integrated marketing agencies. Clients benefitting from MDG’s targeted and integrated 360° marketing solutions include The Breakers Palm Beach, Dental Care Alliance, IBM Southeast Employees’ Federal Credit Union, Lafayette Federal Credit Union, The Seagate Hotel and Spa, Carls Patio, Brain Balance Achievement Centers, South Florida Fair, MDVIP, Round Hill Hotel and Villas, TooJay’s Gourmet Deli, Upfront Foods, Signature Consultants, World Fuel Services, Benetrends, Max Planck Florida Institute, and HCA East Florida. To stay on top of the latest advertising and marketing trends, contact MDG Advertising.